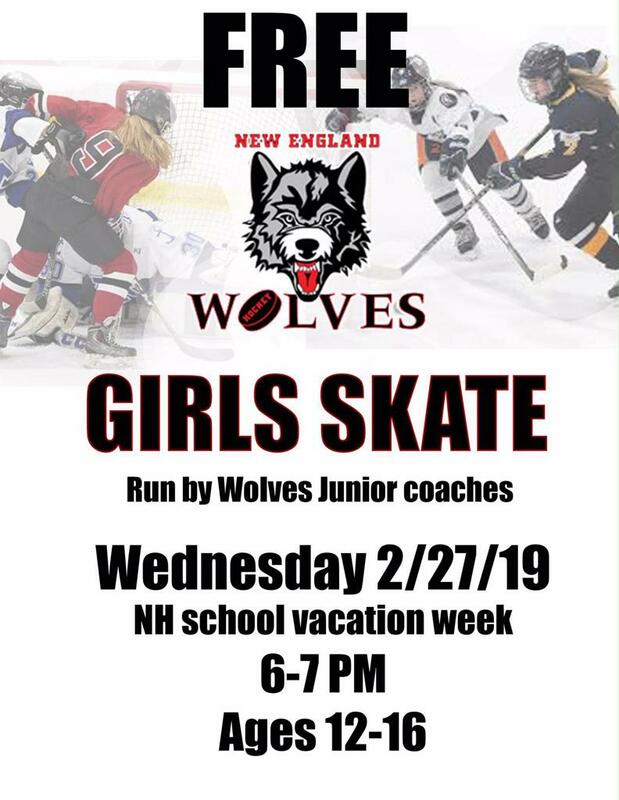 Wednesday February 27, 2019 at Merrill Fay Arena in Laconia, NH, the New England Wolves Hockey Program is holding a FREE girls skate from 6-7pm. The Skate will be run by the Wolves JR Coaching Staff and be 60 minutes of advanced skill development, in a fun setting. Open to girls age 12-16, no equipment provided.